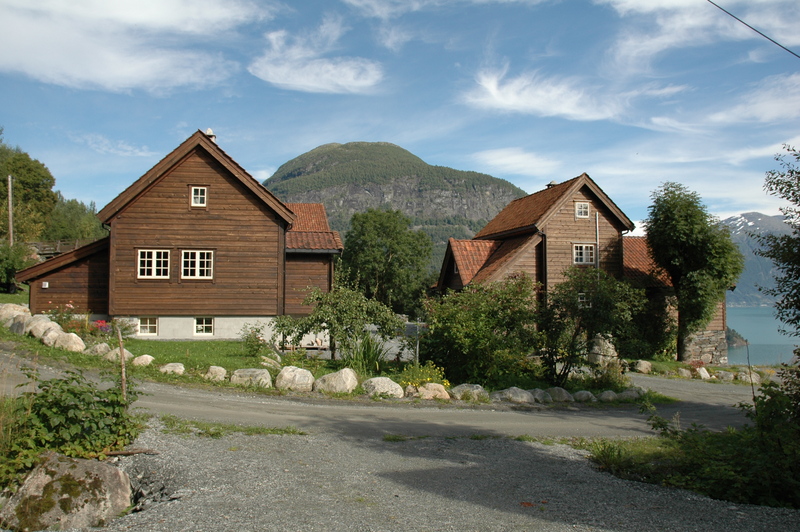 Nedreberg is situated 3 km west of Stryn town center, north of the Nordfjord. Stryn and Nordfjord are amogst the most attractive travel destinations in Norway. Nedreberg has access to nature, culture and experiences in a beautiful are and varied terrain. The Nedreberg farm overlooks the Nordfjord, and the farm houses are from the 17- and 1800s. The farm has been in use since the 13th century. Farming, lumbering, a little fishing and hunting were the basic trade and production means. Now you find a mix of modern comfort and traditions from the olden days. Accomodation at Nedreberg provides a cozy atmosphere. We offer gatherings and parties, conferences and cultural experiences. We invite you to varied activities from fjord to mountain top, all year around.